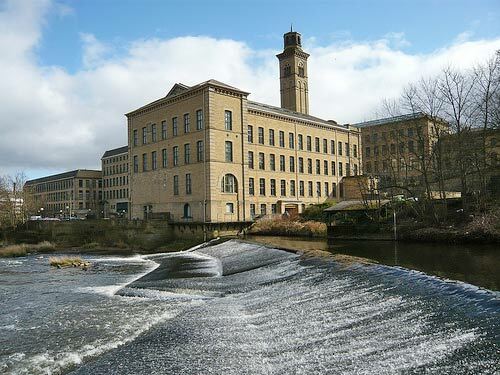 Lister Mills was built in 1871 (to replace original Manningham Mills) was once the largest silk mill in the world. At its peak, the mill employed 11,000 people. The chimney is 78 metres high and one of the few large mill chimneys to survive. 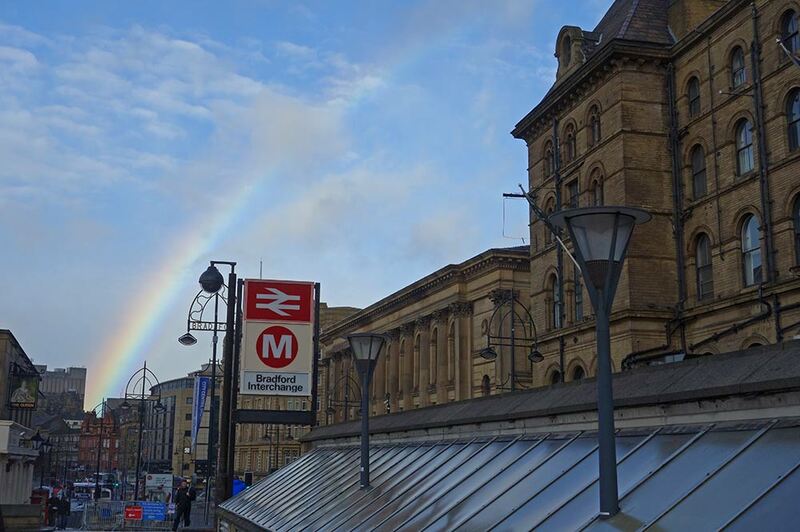 It is a visible presence on the Bradford skyline. Bradford’s growth was helped by access to coal, iron and plentiful soft water (River Wharfe,River Aire, River Calder and Bradford canal). 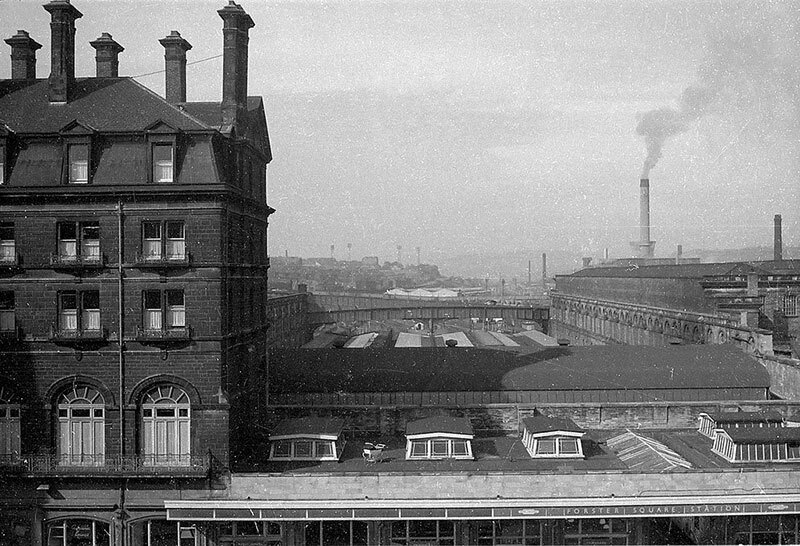 The rapid industrialisation of Bradford caused serious problems of pollution, poor water supply. 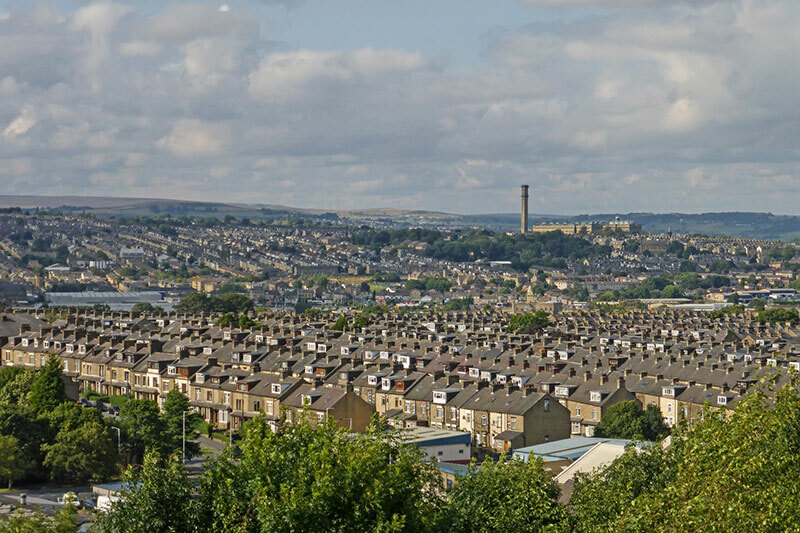 In the mid Nineteenth Century, the life expectancy of Bradford citizens was just 18 – the lowest in the UK. 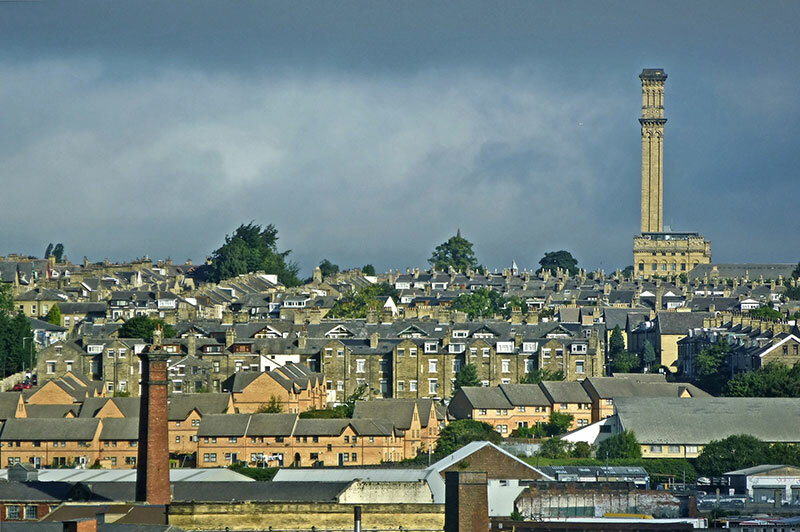 The Manningham Mills strike of 1891 saw the birth of Bradford and District Labour Union – a forerunner of the Independent Labour Party which was founded in Bradford 1893. 1897 Bradford became a city. On May 4 1904 Great Bradford exhibition opened in Lister Park – attracting 2.5 million in six months. Attractions included crystal maze, a pavilion showing Bradford products and an imported Somali village, complete with native Somalis. 1950s and 1960s mass immigration from Pakistan, India and New Commonwealth. In 2011, 22% of the population are British Asian, the third highest percentage in the UK, behind Leicester and Tower Hamlets. 1985 Bradford City fire at Valley Parade, claimed the lives of 56 people was one of Britain’s worst sporting disasters. 1970s industrial decline. The textile industries lasted until early 1970s. But, by late 1970s, the industries had shed 63,000 jobs causing unemployment to rocket to 16%. 1989 Copies of Salman Rushdies’ The Satanic Verses burnt in the city, as Muslims protested about the book. 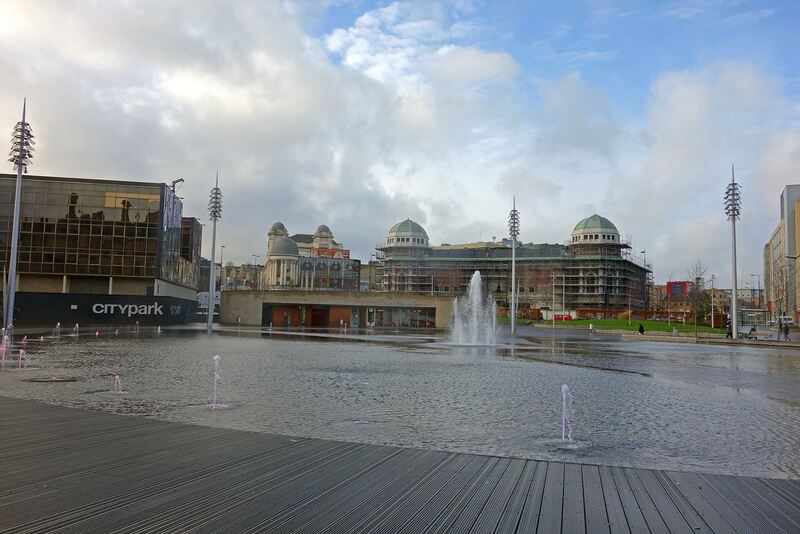 Bradford City park largest urban water feature in the UK. Morrisons supermarket chain was founded by William Morrison – who was initially a dairy merchant in Rawson Market. The first Morrison supermarket was built at Yeadon. 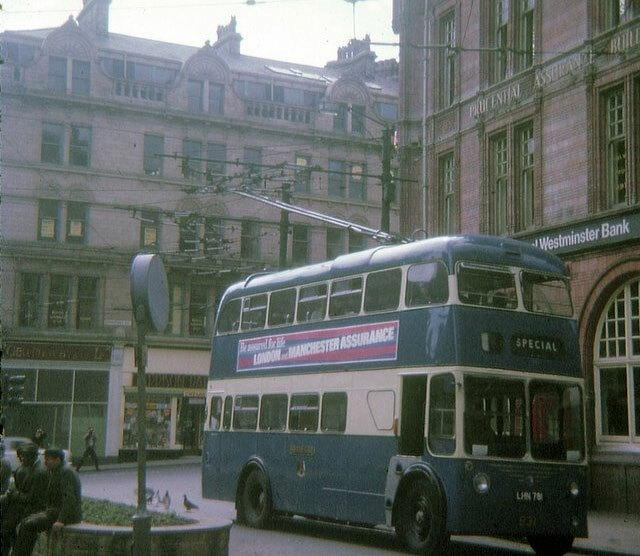 Bradford is the home to many major finance companies, such as Yorkshire Building Society, Santander UK, Provident Financial. 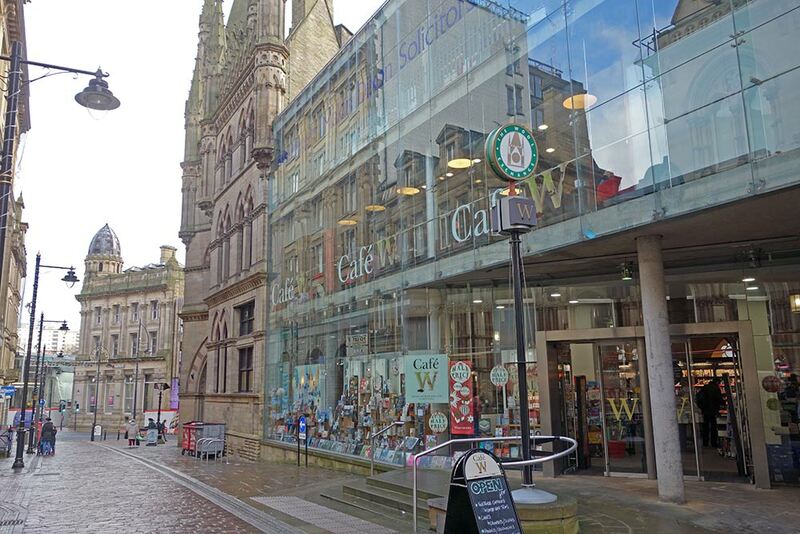 Bradford Wool exchange now Waterstones and cafe. W.E. Forster (1818 – 1886) Liberal politician, businessman and philanthropist. He made steps towards promoting a national education system. Margaret McMillian member of ILP and Fabian Society, with her sister, sought to improve welfare of children living in slums. J.B. Priestley (1894-1984) novelist and playwright. Frederiech Wilhelm Eurich (1867-1945) bacteriologist helped conquer anthrax in wool trade. Sir Edward Appleton (1892-1965) Nobel Prize Physics for work in proving the existence of ionspehere. Professor Robert Turner (1923-1990) pathologist who pioneered use of chemotherapy at the Bradford Royal Infirmary. Zayn Malik member of One Direction was born and raised in Bradford. Bronte Sisters (Emily, Charlotte and Anne) were born in Thornton a district of Bradford, later moved to village of Haworth. 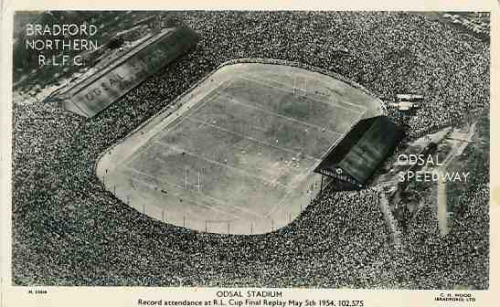 Bradford City formed in 1903, won the FA Cup in 1911. Bradford interchange. Contains Cross-Pennine train lines. Also direct trains to London. Also bus station. Leeds – Bradford airport (Yeadon) built in 1931. 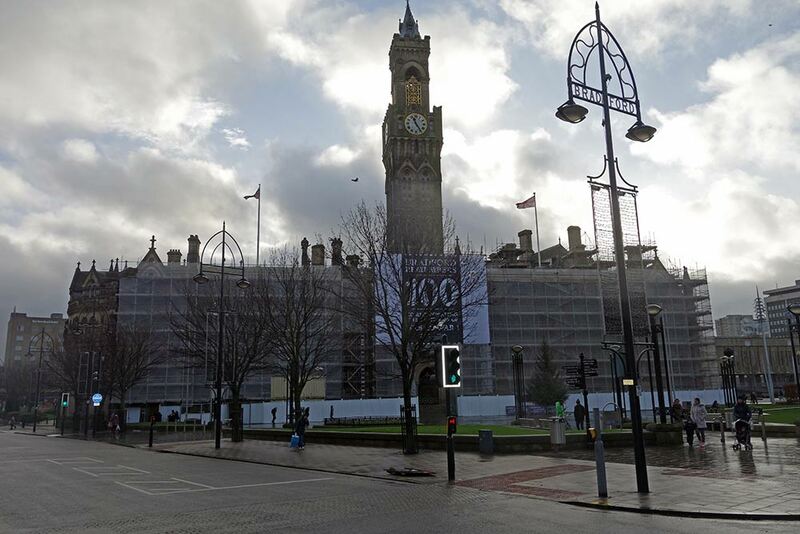 Bradford City Hall, undergoing restoration work. Grade I listed building, opened 1873. The National Media Museum was most visited museum outside of London. Alhambra Theater is a listed building and is a vibrant venue. Bradford University has a Peace Studies department founded in 1973. Bradford held the first major European ‘mela’ (Hindu festival) in 1888, it is now part of the wider Bradford Festival every June. 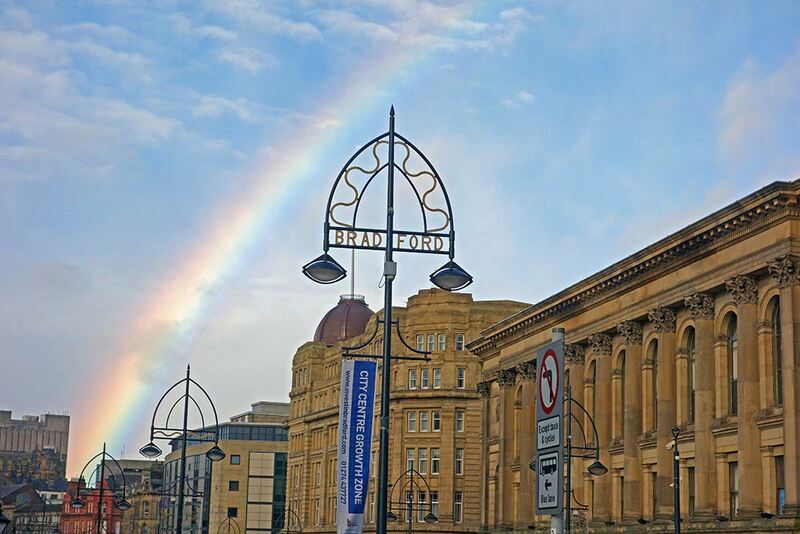 In 2010 Bradford was recognised as a “City of Sanctuary” for a tradition of welcoming people seeking sanctuary.